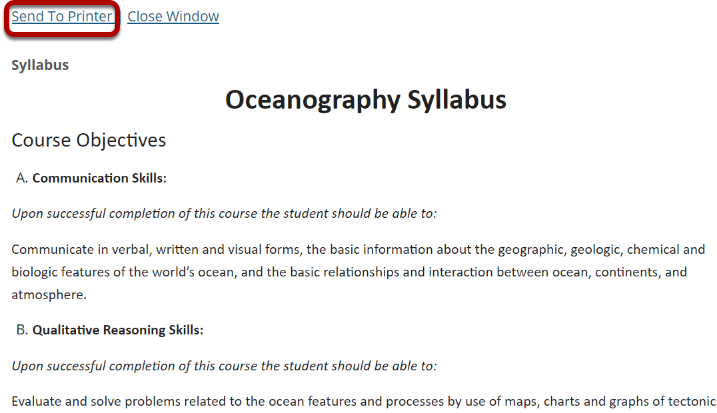 Sakai Community DocumentationSakai 19 User Guide (English) SyllabusHow do I print the syllabus? A new window will open which displays the entire syllabus in a single window. Click the Send to Printer link in the top left of the window to print. Prev: How do I create a multi-part syllabus by dates? Next: How do I point my syllabus to a webpage?